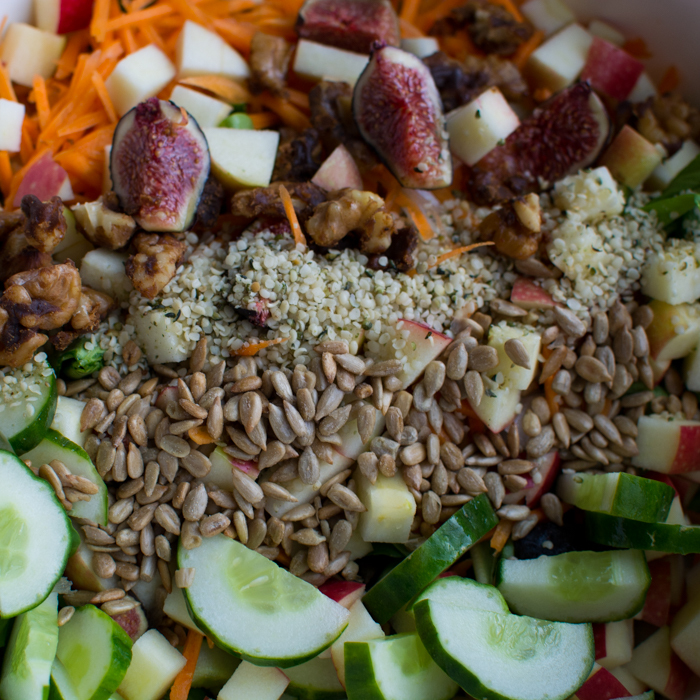 When you make a beautiful salad it needs the perfect dressing. 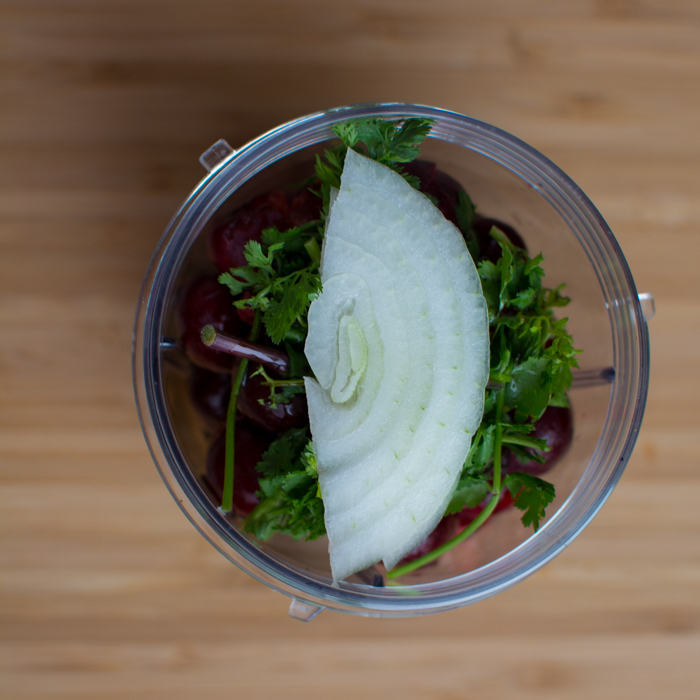 One that helps all of the ingredients shine and burst with flavor. I’m always on the lookout to make an oil-free or low-fat dressing mostly because it means I can pour even MORE of it on my salad. 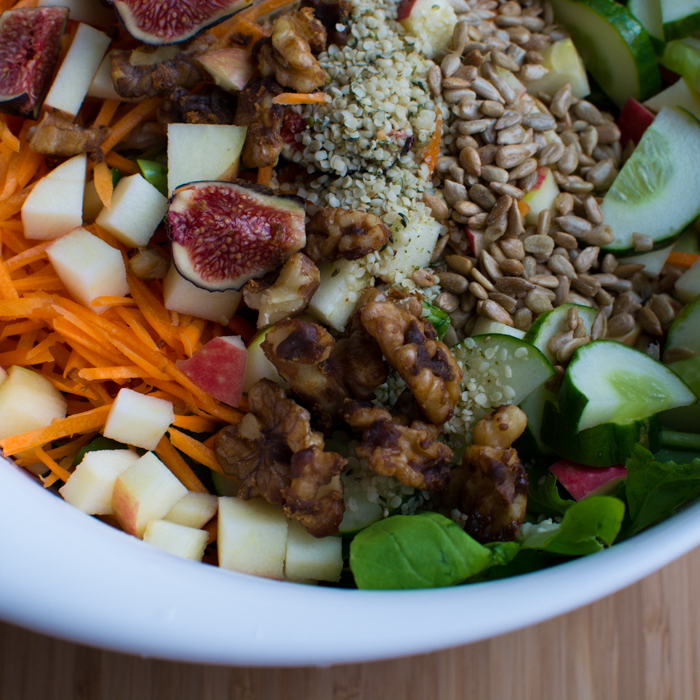 Allowing each fig wedge, apple chunk, and spinach leaf to luxuriate in liquid gold. 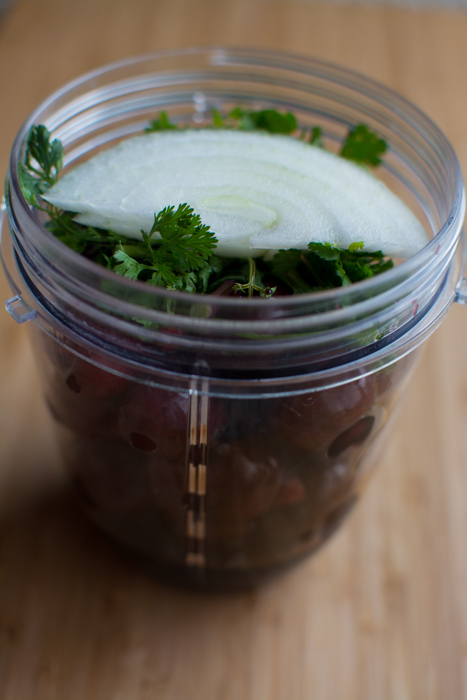 I whipped this up using fresh pitted cherries (what a mess), cilantro from our csa, and fresh strawberries. The balance of tart, savory, and sweet is on point. There is cinnamon in the balsamic that brings out a surprising warmth to an otherwise cool late summer condiment. 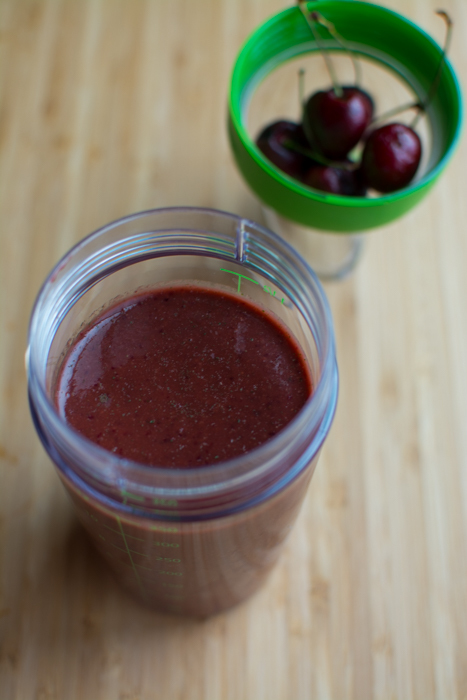 Add ingredients to a small personal blender cup and blend until smooth. Will keep for a few days under a tight lid in the refrigerator. *Don't have cinnamon pear balsamic? Use regular balsamic with a sprinkle of cinnamon. It’s a little thicker than syrup and a beautiful color that stays bright if it happens to last more than a few days. 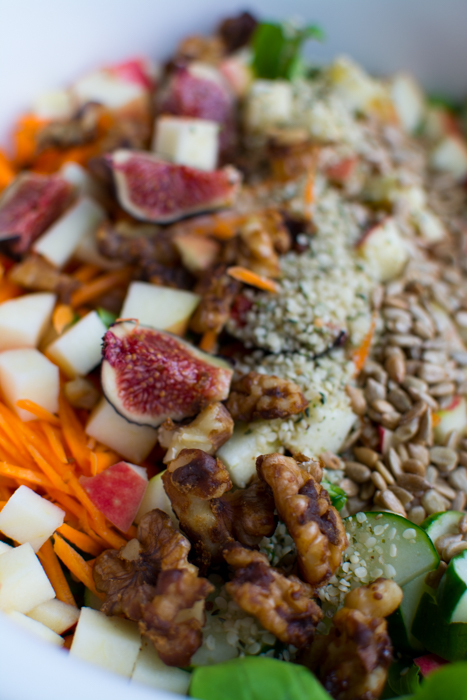 We poured it over a salad of fresh cucumber, small chopped pink lady apples, fresh shredded carrots, quartered figs, mixed spring greens, toasted sunflower seeds, a few candied walnuts, and hemp seeds.